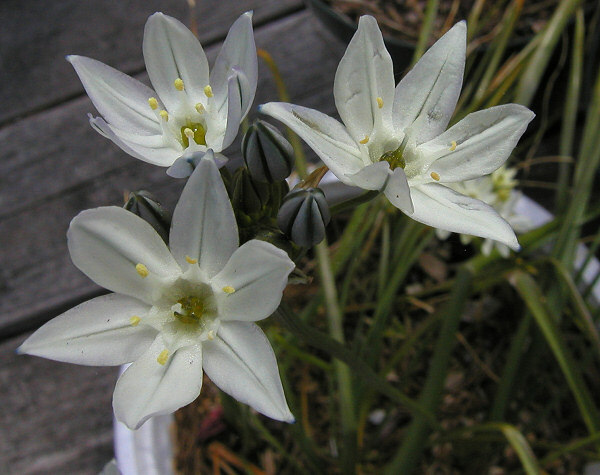 Triteleia is a member of the Themidaceae family, which also includes Brodiaea, Bloomeria and Dichelostemma. 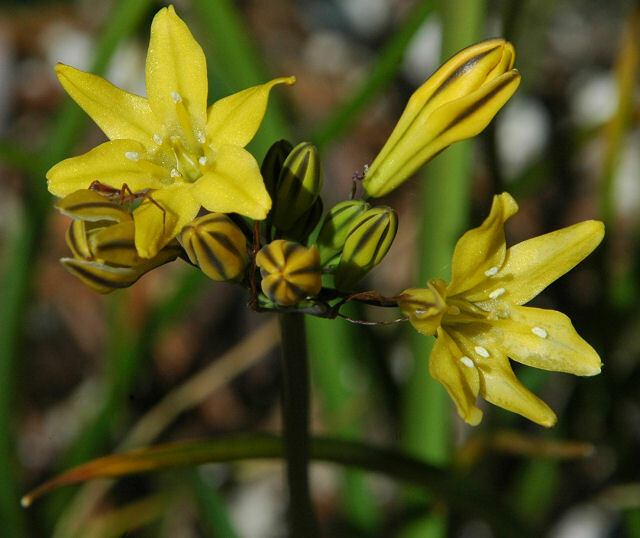 This group of bulbous plants has been included in the closely allied Onion family or Alliaceae and some suggest that is a better placement for it. 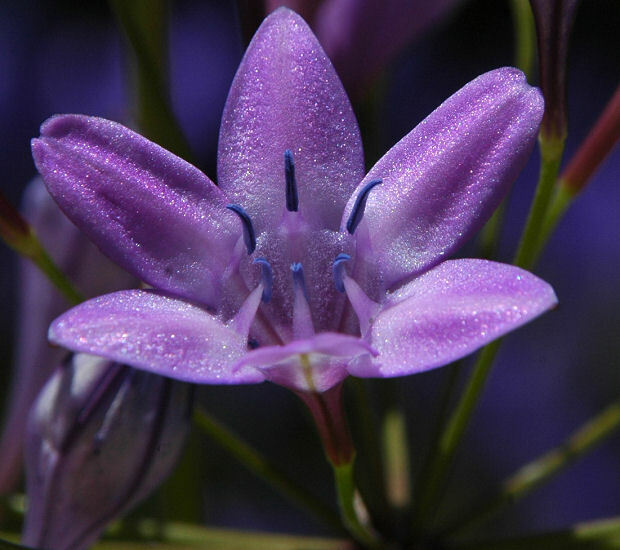 It is considered to be in the Liliaceae family by the Flora of North America so its family status is far from clear. 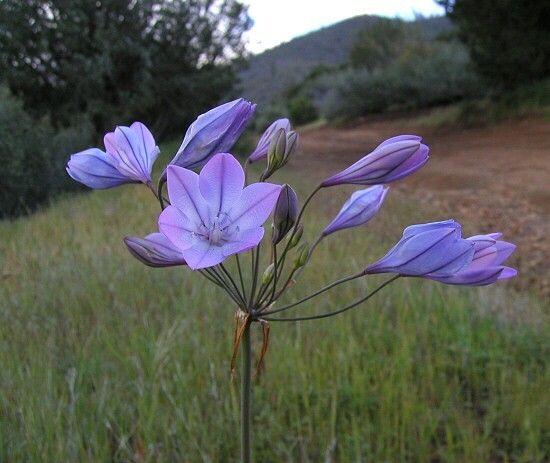 Triteleia, Dichelostemma, and Brodiaea were sometimes referred to as the Brodiaea complex, and sometimes still are. 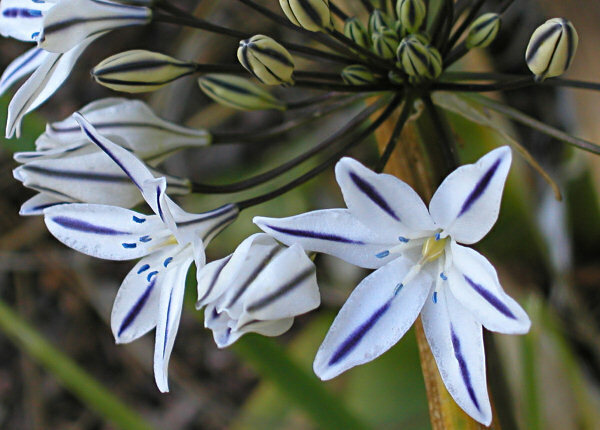 There are fourteen species of Triteleia found in Western North America and one species in Mexico. 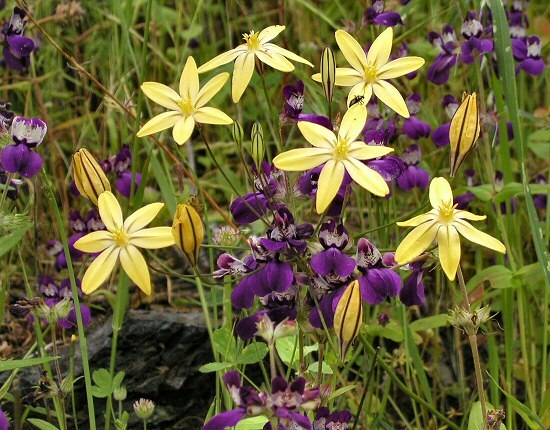 Most are native to California and found in a variety of habitats including rocky cliffs, open conifer forests, grasslands, and vernally wet meadows. Time of bloom occurs from March to August depending on the taxa and habitat. There are many naturally occurring forms of each species varying in height, color, and how fast they multiply vegetatively. Some may produce many cormlets every year and others rarely offset. The genus was the subject of the PBS list topic of the week January 2003. Mary Sue Ittner provided the introduction.